In January, there was the Super Bowl. In February, there was the Sochi Winter Olympics. And now, we have officially reached March Madness. Seriously. It’s everywhere. Have you been on Twitter today? Because chances are you will have seen at least a few dozen #MarchMadness, and that’s not an exaggeration. It’s true, before the madness even broke out on Thursday, there were already over 135,000 tweets using the hashtag. With more and more people joining social media, and more and more people realizing their voices can be heard, the more and more people that are going to contribute around the hype and buzz these major sporting events generate. However, fans are not just changing the way they talk about sports, but they are changing the way they watch sports. 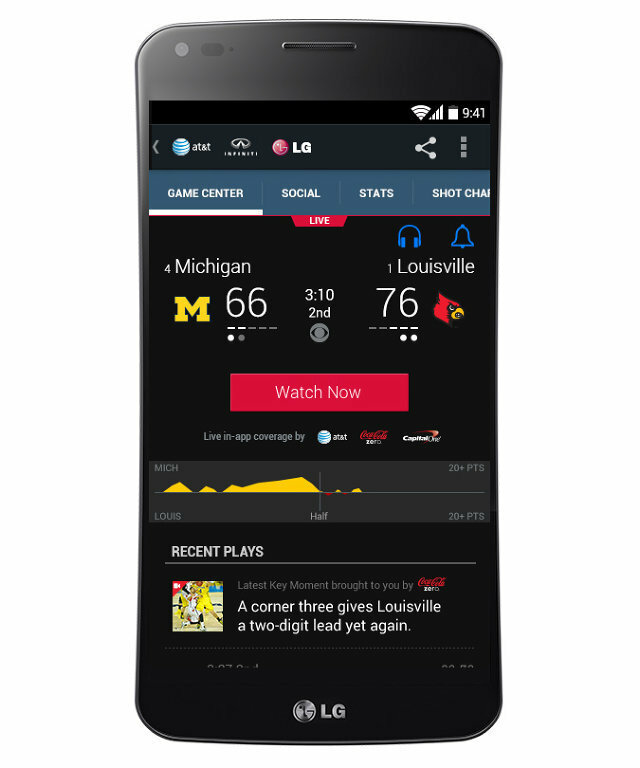 NCAA March Madness Live offers live streaming of the 67 games as well as social media feeds to all smartphones, tablets, laptops, and PCs. Last year, NCAA March Madness Live reached record viewership with more than “14 million hours of live video streamed, a 168% increase.” This goes to show that fans no longer just want the game’s score, but they want to engage in the full experience by watching it on the go and joining in on the conversation. 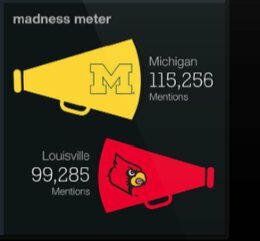 As if the competition wasn’t fierce enough, the app also allows viewers a look at the “Madness Meter,” to see which schools on Twitter are winning the war. As you can see here, Michigan doesn’t mess around. With more records set on the field each year, it is only a wonder what records will be set off the field. ← March Madness: Are the women left out?